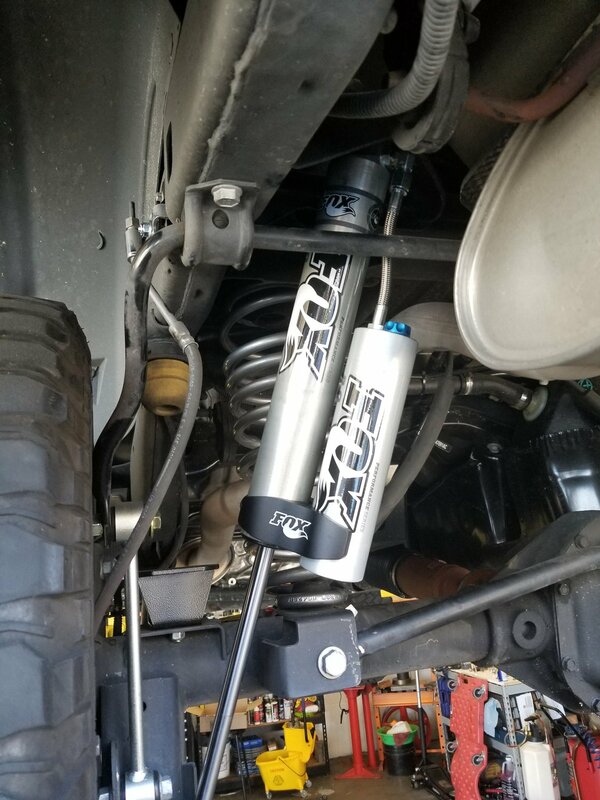 The aluminum bodied 2.0 Performance Series Reservoir smooth body shock for your Wrangler JK delivers FOX's industry leading performance in an affordable, hassle-free bolt on package. 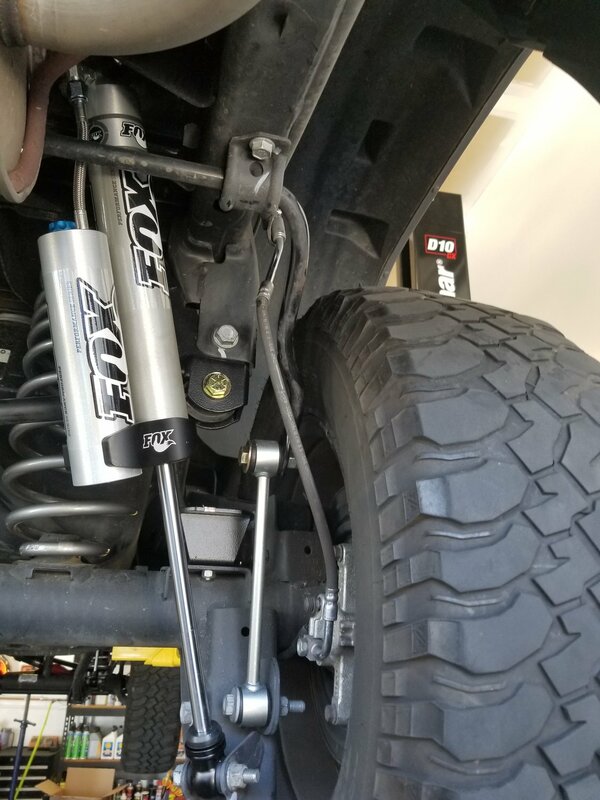 The heat reducing design includes a metal impacted clear anodized aluminum shock body that dissipates heat faster than a conventional steel body shock. 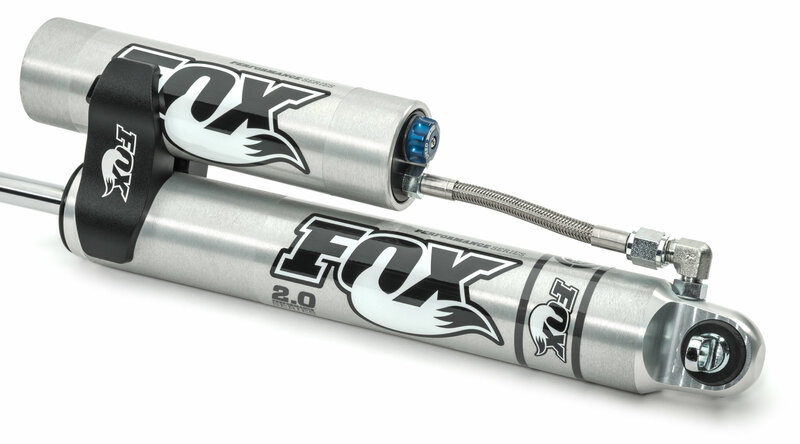 Its external reservoir allows for increase oil and nitrogen capacity while delivering a race style look. To compliment the racing look a CNC machined, 6061-T6 aluminum black anodized reservoir mounting clamp is included. 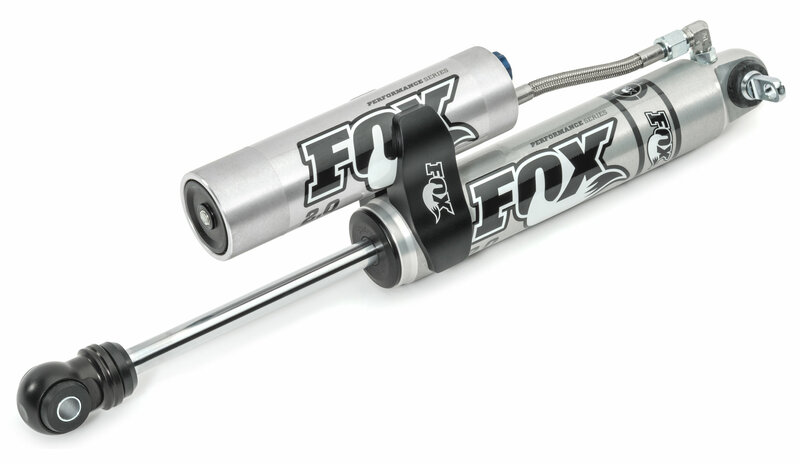 The high flow damping piston matched with application specific valving gives the 2.0 Performance Series Reservoir shock predicable ride quality capable of handling the roughest on and off road conditions. 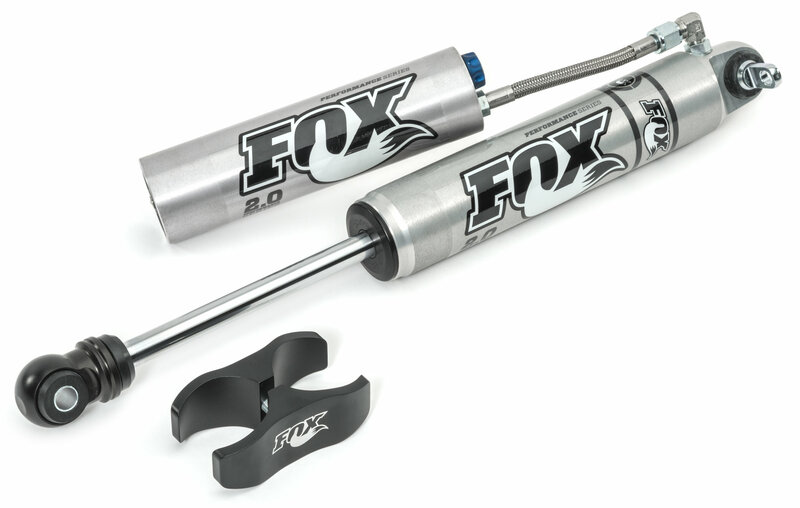 These Shocks also come equipped with a Low Speed Compression adjustment knob for the most perfect suspension tuning and ride quality control. 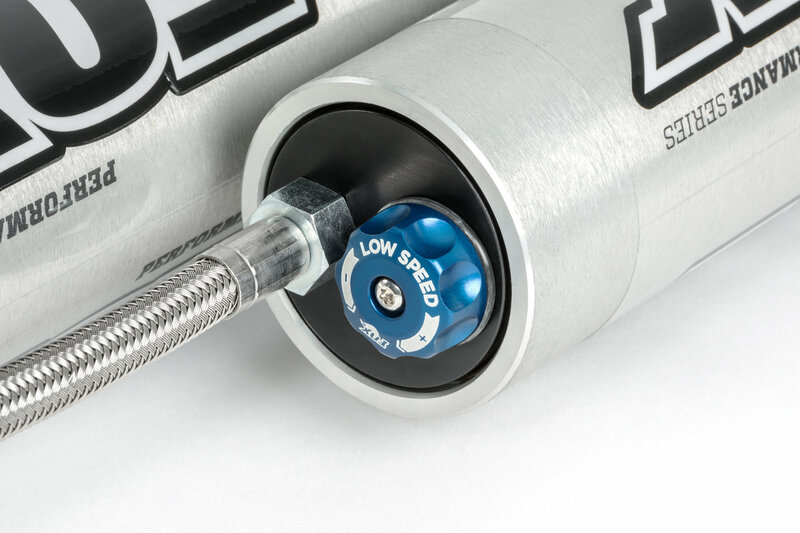 A simple rotation on either of the two adjuster knobs allows for 10 separate low-speed and 12 high-speed compression levels. A black anodized aluminum reservoir increases cooling efficiency.